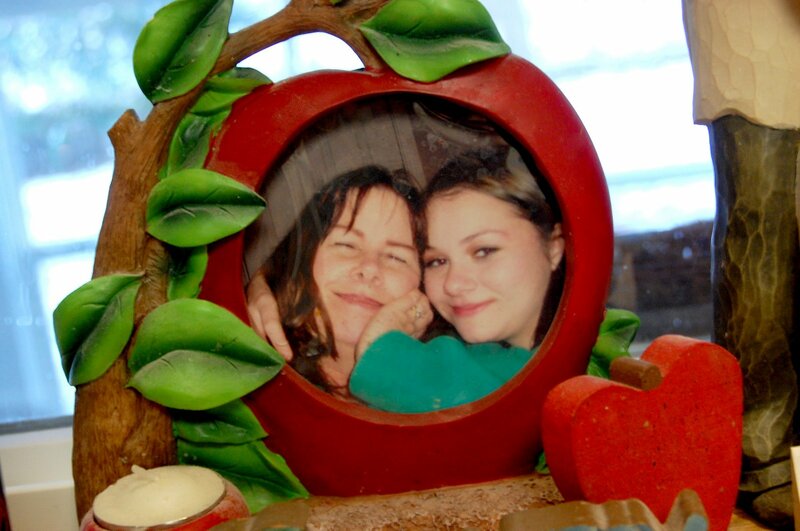 #1 A photo of my Mom and me in 2004. Located on the window sill in front of my kitchen sink. #2 – A Bunny that my Mom made years ago. 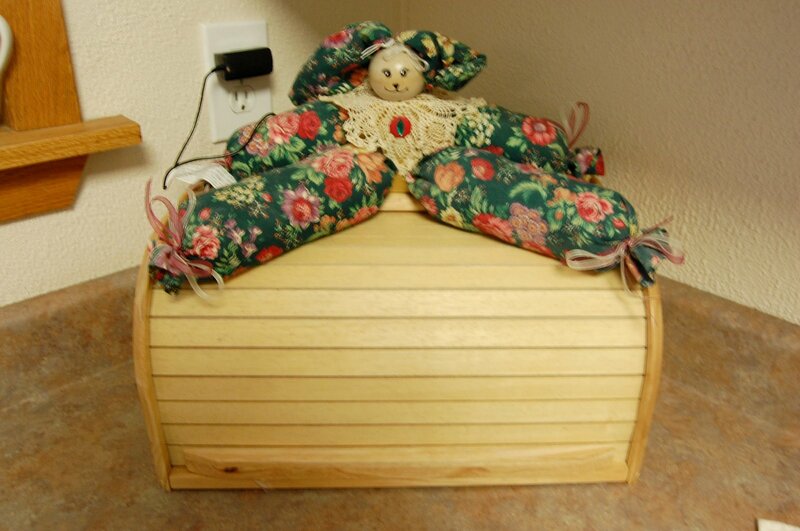 She sits on top of our Bread Box. 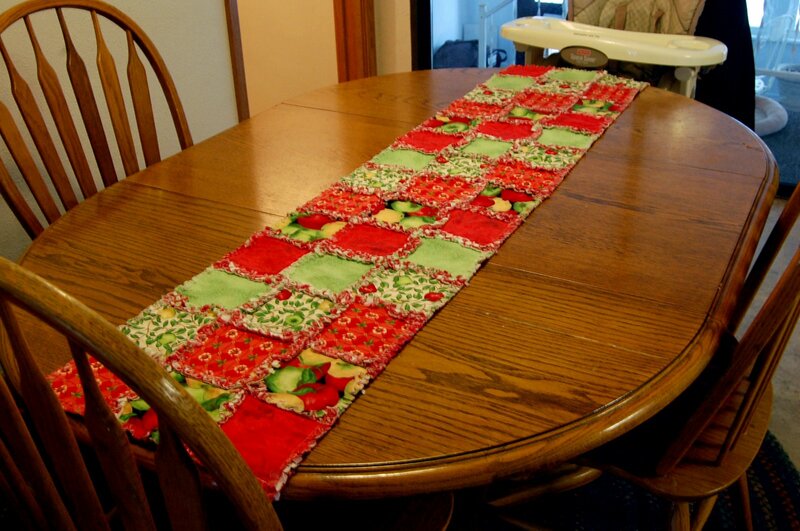 #3 – My Table Runner, made by my Mother-in-Law! 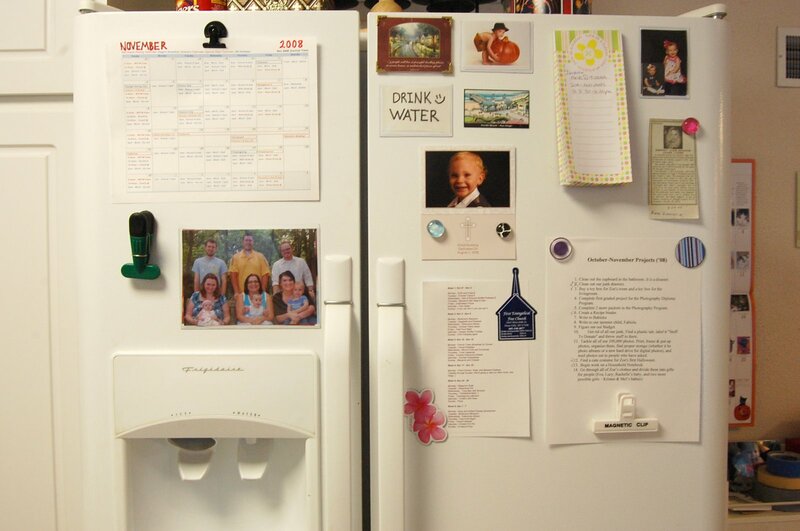 #4 – My Fridge and all of it’s awesomeness. 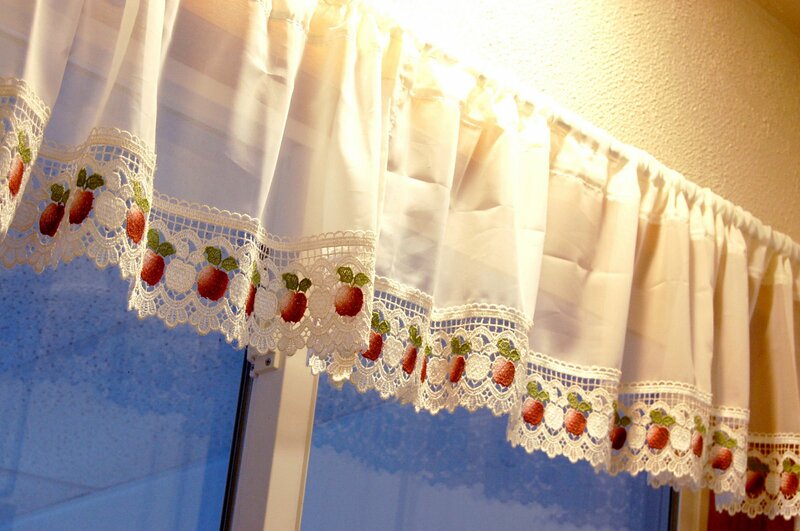 #6 – My Curtains with Apples on them! I am tagging anyone who reads this who has a kitchen of their own! Now, get to it. Haha. It is almost 1 am and I have been awake since 5:30 am…. it’s time for bed! 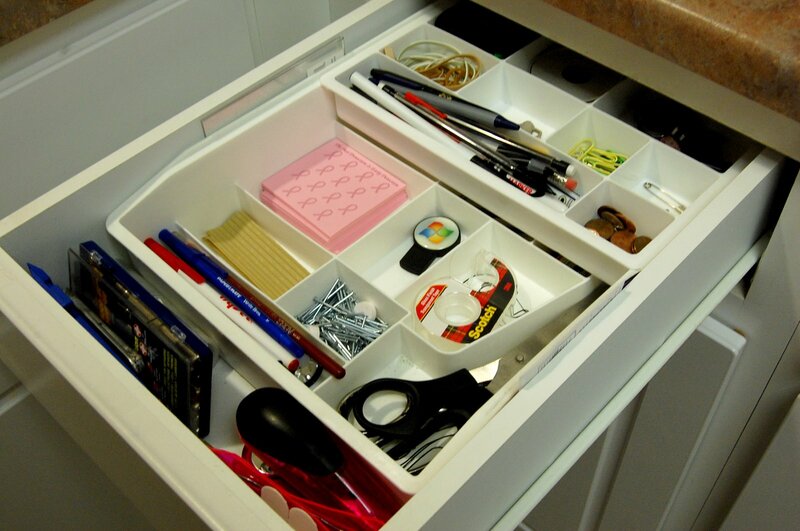 No wonder you love your junk drawer! It is SO organized. I’m not going to post a photo of mine; I can hardly open it! 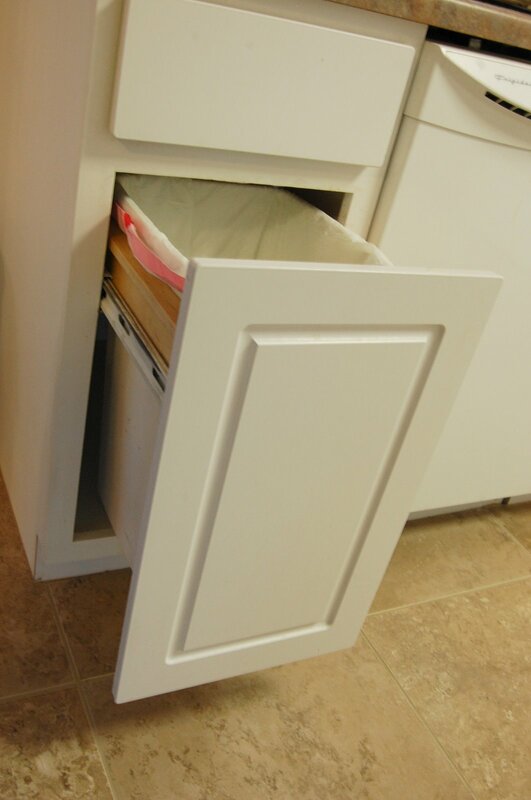 Hmmm, maybe it’s time to clean…I love your trash can too. Very handy and low-profile. cute kitchen. i love all the personal touches.